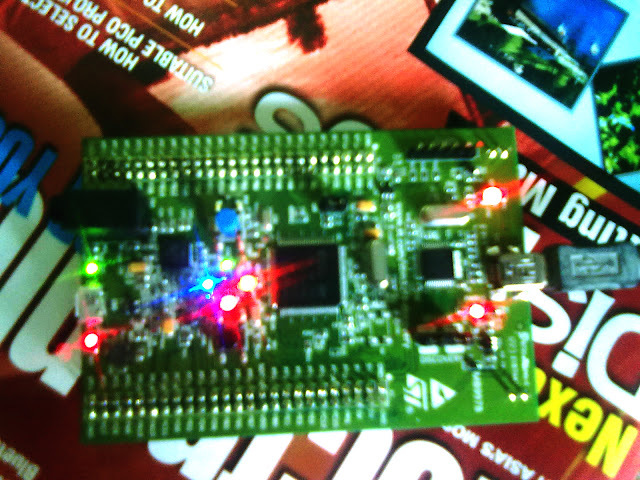 I received my STM32F4 Discovery board few days ago. During these days I am searching for a good compiler for the STM32 which is free or provide a better code sized free version. I am already working in .Net environment using C#, and I it is pretty good. In Google search I saw STM32F4 programming using .Net, the below link. 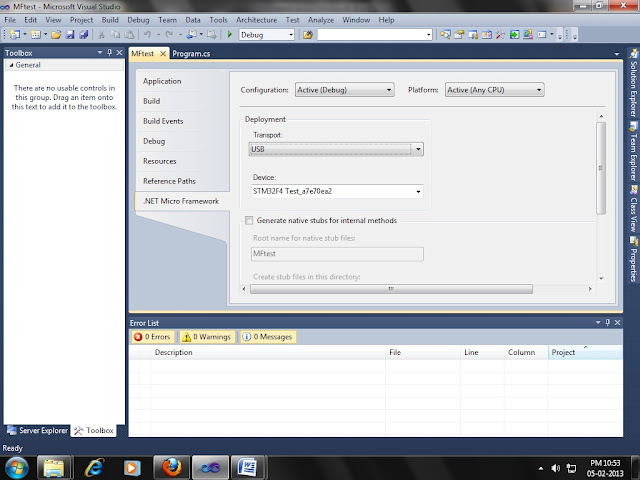 We are using a .net port for STM32F4, it is .Net micro framework. 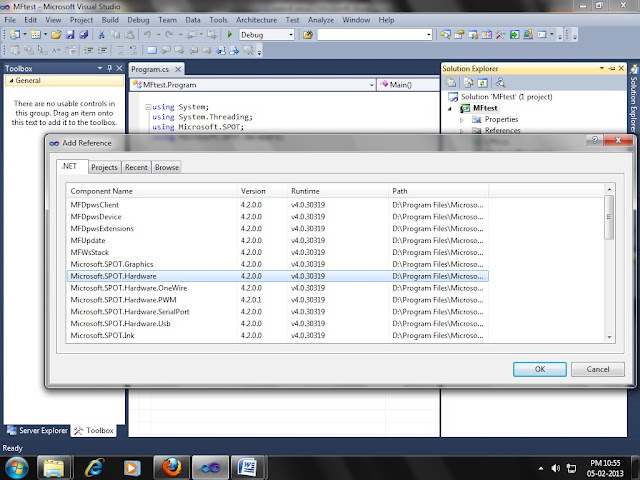 I am using Visual Studio Ultimate 2010 (Compatibility of others is not known). 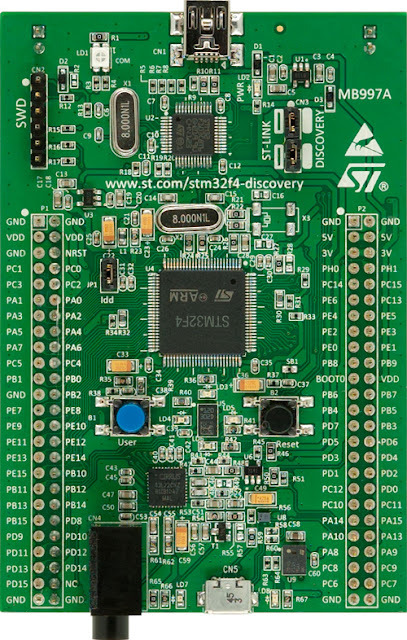 I hope you have an STM32F4 Discovery Board. 2. USB Micro and USB Mini cable. The board will get power and power LED & COM LED will be on, if your board is fresh the demo program will run blinking LEDs. Install STM32 ST-LINK Utility you downloaded. The driver will be automatically installed. You need to Erase the program and Configs in the controller. 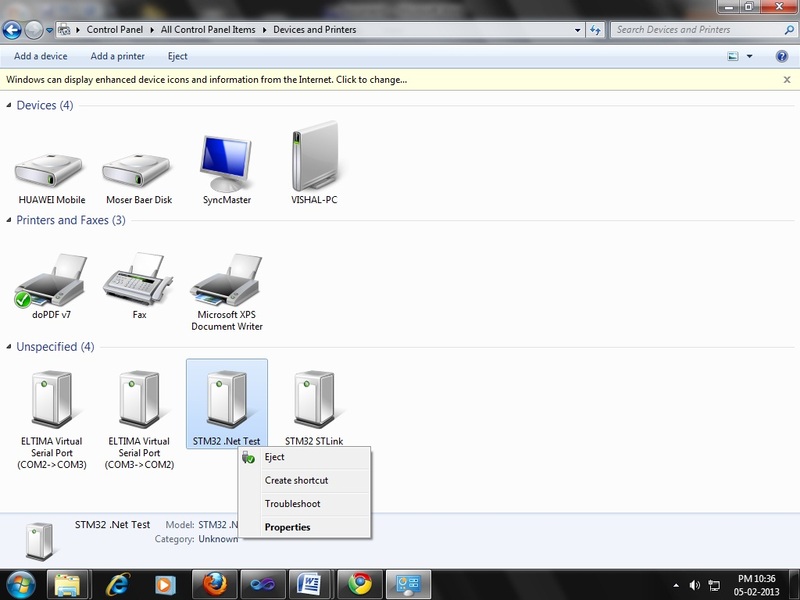 For these, open the STLink Utility from where you installed it. After these you have to load bootloader to the Discovery board. 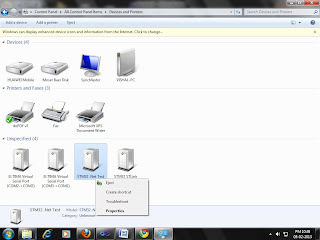 Double click on it, from DRIVER tab click update diver and browse it to the folder mentioned above and update it. Launch MFDeploy.exe (you should be able to find it in C:\Program Files (x86)\Microsoft .NET Micro Framework\v4.2\Tools\MFDeploy.exe) which you should have got when you installed the SDK. To make sure MFDeploy can see the board do as shown below. 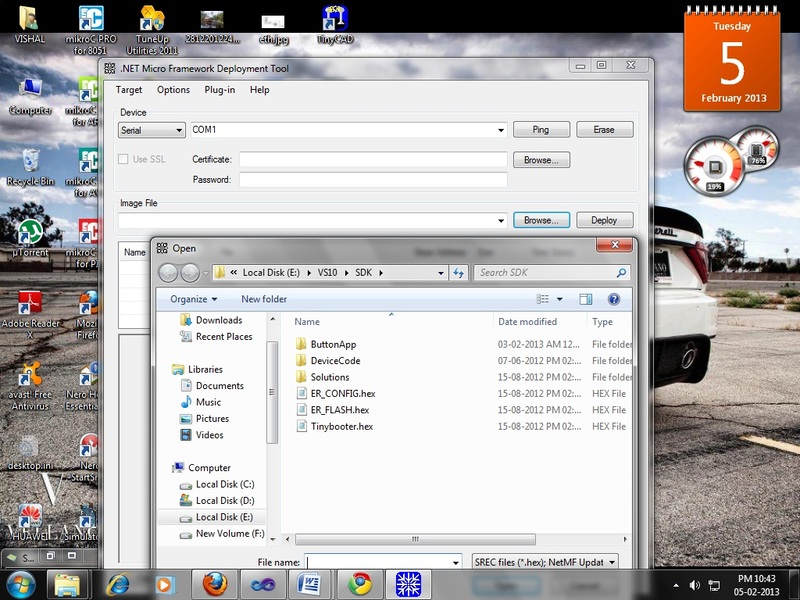 ADD files HardwareProvider.cs and CPU.cs to project (step is same as adding reference right click> select Add existing Item) from the zip file downloaded including the drivers. Start debugging your code will be written to your Discovery, you can see the status at the bottom. Reset your board. Some files are uploaded in our facebook group. If you have any trouble in downloading the file please comment here. You need to be a member in the group to download the files. Discovery is great. I run couple of shields on this like: SD Card, RTC, GPS, GSM SIM900, LCD with keypad, OneWire => iButton Reader. It is unfortunate that there are no people who would like to be proud of their actions of this module. Forum on codeplex looks inactive. Oberon also says nothing. New version port on netfm 4.3 would be great. Thanks for your comment and interest. I have done the Smart Home Project on Discovery. I wish to do it as open source, but i didnt found required resources. So i forced to do it using Mikroc. The support from Mikroe team and forum is great. I would like to transform the project to open source. It would be nice if you share some resources on this. If you have a facebook ID, join our group. You can find lot of Geeks there. It finds Microsoft.SPOT.Hardware -- I am somehow missing this driver, and looked at your tutorial 4 times but I don't see where you loaded it. 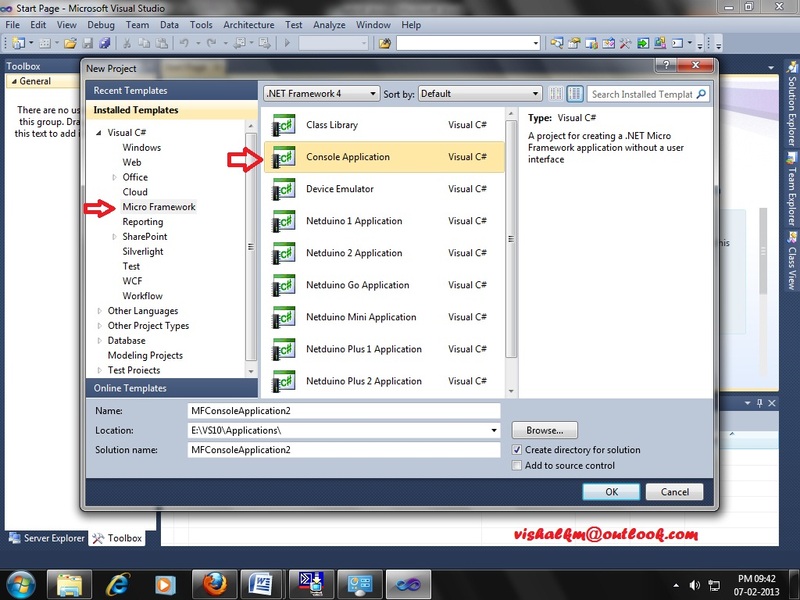 @Marvin Did you installed .Net Micro framework? I will reload the .NET Framework and try again. It is a great work! But wouldn't it be better if ST-Link (mini USB) is used for .C# code transfer and debug so that micro usb is spare and can be used as USB device/host? USB can be used as per requirement after uploading code. Nice idea ! Can I do it using vb.net? Security is a prime concern in our day-today life. Everyone wants to be as much secure as possible. An access control for doors forms a vital link in a security chain. The microcontroller based digital lock for Doors is an access control system that allows only authorized persons to access a restricted area. An electronic lock or digital lock is a device which has an electronic control assembly attached to it. They are provided with an access control system. 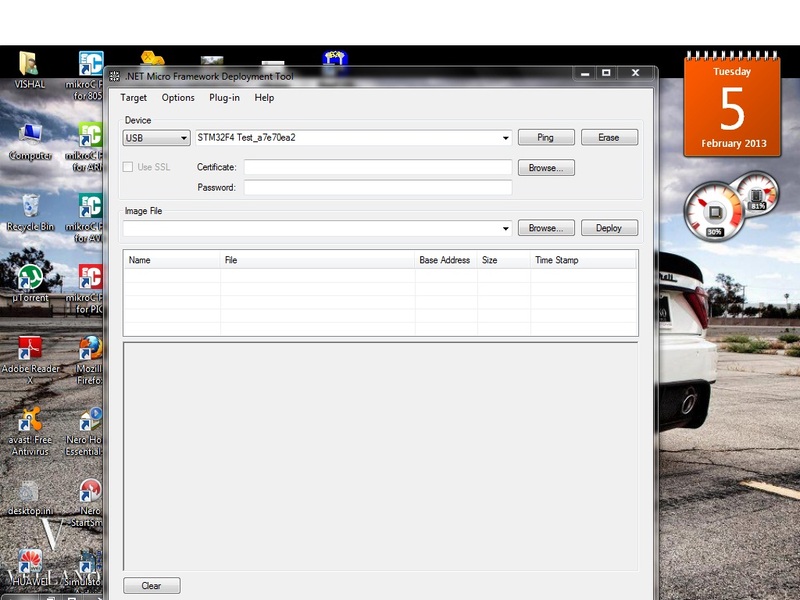 This system allows the user to unlock the device with a password. The password is entered by making use of a keypad. The user can also set his password to ensure better protection. The major components include a Keypad, LCD and the controller PIC16F877A. This article describes the making of an electronic code lock using the 16F877A microcontroller. First, a quick history of RS232. What is RS232? It's just a name for a standard that has propagated from generation to generation of computers. The first computers had serial ports that used RS232, and even current computers have serial ports (or at least USB ports that act like RS232 ports). Back in the day, serial information needed to be passed from devices like printers, joysticks, scanners, etc to the computer. The simplest way to do this was to pass a series of 1s and 0s to the computer. Both the computer and the device agreed on a speed of information - 'bits per second'. A computer would pass image data to a printer at 9600 bits per second and the printer would listen for this stream of 1s and 0s expecting a new bit every 1/9600 = 104us (104 micro-seconds, 0.000104 seconds). As long as the computer output bits at the pre-determined speed, the printer could listen.